Citizens in Northern Ireland (NI) have embraced advances in technology. The most recent research states that 76% of people in NI own a smartphone – a figure that has doubled in the last five years. 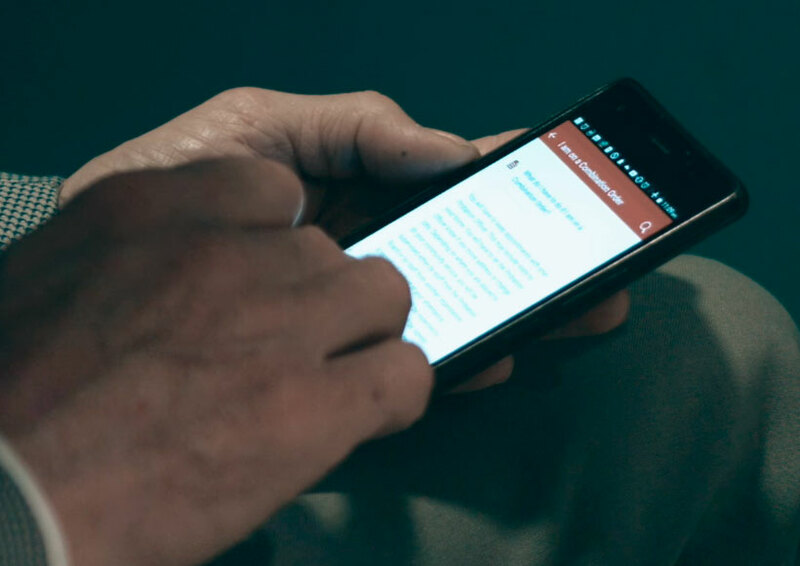 In order to respond to the changes in how citizens are accessing services, the Probation Board for Northern Ireland (PBNI) developed a mobile phone app called Changing Lives, aimed at assisting offenders’ rehabilitation. It is the first app specifically developed to increase desistance from crime. Available on both Android and iOS, it enables offenders who struggle with mental health issues or addictions to identify their problems and find support and advice, and signposts people to appropriate services. People who believe they are at risk can also directly ring the Samaritans or Lifeline from the app. The app features a journal so that those on probation can keep track of any issues in their lives and share their progress or any challenges they face with their probation officer. A contacts section enables people to ring directly through to probation staff as well as out of hours GP services and others. PBNI performs a critical role in the Justice System, providing reports for sentencers, supervising those who are subject to licences and court orders and assisting in the rehabilitation of offenders. Probation in Northern Ireland has been impacted by a reduction in resources over the last years. Therefore, the probation service has sought to overcome the cuts by encouraging innovation and developing smarter ways of working to reduce reoffending. It is clear that the advancements in technology bring opportunities to work in a smarter and more efficient way. In early 2016, PBNI began a journey of developing a mobile phone app to reach out to service users and increase engagement, assist compliance with court orders and save costs associated with printing information for those who use the probation services. In developing the app, we carried out a small sample survey of people on supervision. People were asked whether they had access to a smartphone and whether they would find information accessible through their phone useful. The majority had access to smartphones and indicated that they would find this form of communication useful. PBNI’s communications unit set up a working group – consisting of personnel working in communications, learning and development and psychology – to look at whether any mobile phone apps currently existed for those under probation supervision and to consider what information would be most useful to them. We know that over 70% of people on probation supervision have a problem with alcohol or drugs and that 46% have a mental health problem. The caseload figures show that the 70% of offenders are aged 18-39. Considering those characteristics, we decided that our aim should be to develop an app that could both provide resources and information to people suffering from addictions or poor mental health, but also have a journal facility so that people could track their progress. Probation staff’s unique skill set gives them the ability to deal with each person in a holistic way and on an individual basis, enabling them to tackle the underlying causes of their offending and therefore help protect the public. This app is another tool that probation staff can use with those who have offended to help them desist from crime. The app consists of a Journal for users to fill with their thoughts and reminders of how they are doing. It includes a set of emojis more in keeping with a mobile device and to try to make allowances for the low literacy rates amongst the service users. People can pick an emoji to reflect their current state of mind and are then encouraged to explain why they feel like that and whether they need to take any further actions. There is much information and research about the emotional benefits of writing and journaling. In an article by Baikie and Wilheim, Advances in Psychiatric Treatment, researchers noted that 15-20 minutes on 3-5 occasions were enough to help the study participants deal with traumatic, stressful, or emotional events. Journaling is an opportunity to clarify thoughts and feelings, reduce stress and solve problems more effectively. The Appointments and Calendar section was added following feedback from operational probation staff. It enables service users to schedule their next probation appointment and receive reminders of that appointment as often as they like. We know that many service users have chaotic lifestyles and it is hoped that this section will assist them to comply with appointments and home visits. The section on Probation brings together all the information we previously printed and gave to those on probation. If you are on a Probation Order or any other court order or Licence, you can click on the appropriate link and it will explain what the order means, what is required of the person and the consequences of noncompliance with a court order. There is also information on pre-sentence reports, curfews and electronic tagging. The aim of this section is to set out in simple terms the expectations and requirements of each element of probation supervision. The sections Mental Health and Addictions provide resources and support to people who may be struggling with mental health issues or addiction. They provide information on how to identify depression and anxiety which many people on probation suffer from. They also provide important phone numbers including the Samaritans and Lifeline which is a telephone crisis helpline. Under the addiction section, PBNI’s psychologists have put together ‘10 top tips for overcoming addiction’. This includes encouraging people to talk about their addiction, find a support group and look after their physical and mental health. Probation in Northern Ireland has a statutory duty to provide information to victims who have registered with our Victim information Scheme. The Victims section of the app is designed to give them information and help to access our services. The Contacts section of the app has been designed to provide all relevant contact information in one place. Information available includes contact numbers for probation offices, counselling services, social security offices and employment support. Service users also directly provided feedback; they have particularly mentioned the usefulness of the app, especially the mental health and addictions section and the journal. The app was nominated for two awards in 2017 and 2018 and on both occasions was awarded ‘app of the year’. It has been reviewed by a range of online bloggers and commentators who have also commented on its usefulness. In 2018, PBNI applied to Northern Ireland Executive’s Transformation Fund to update the app further. The Board was successful in getting funding and phase 2 of the app development commenced in January 2019. This will include an update to have more resources on mental health and addictions and an interactive dimension. The Changing Lives App is a small step towards using technology to better engage with service users and assist them to change their lives and build safer communities. 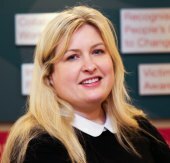 Gail McGreevy has been the Head of Communications in the Probation Board for Northern Ireland since 2009. Her responsibilities include Internal/External Communications, Records Management, Complaints and Data Protection/Freedom of Information. Gail is also co-editor of the Irish Probation Journal, a collaborative cross-border academic publication, and has also written a number of published articles.